Advertised as the event we’ve “been looking forward to all year,” tickets for Block Party are out again. Year after year there is something that doesn’t sit quite right with me, and that's the fact that despite 12 years in the making, they won't tell us who we’re paying to see. This would be okay if we were granted with an impressive lineup every year, but let’s be honest with ourselves. K?D, Illyminachi, The Strange — no wonder last year we thought that a bunch of typos were performing. With tickets of up to 75 dollars, we should be holding our AMS to higher standards to bring us relevant acts that we can be excited to see, not that we feel an obligatory need to attend out of a ritualistic norm. Even here in Canada it is possible to get relevant artists. This academic year, Western University recruited Juice Wrld, Murda Beatz, Loud Luxury and Lil Uzi Vert to perform — and that was all on the same day! Block Party has a history of controversy, especially in regards to money and the underselling of tickets. In 2016, for example, over $200,000 was lost partly due to a lack of tickets sold and lower “beverage sales” than expected, and for this reason it is understandable that the AMS are taking a “fiscally responsible” approach. That year students had the pleasure of seeing Oh Wonder! and Vince Staples. Interestingly enough, that year tickets went on sale in late March, nearly two months later than tickets are being sold this year. 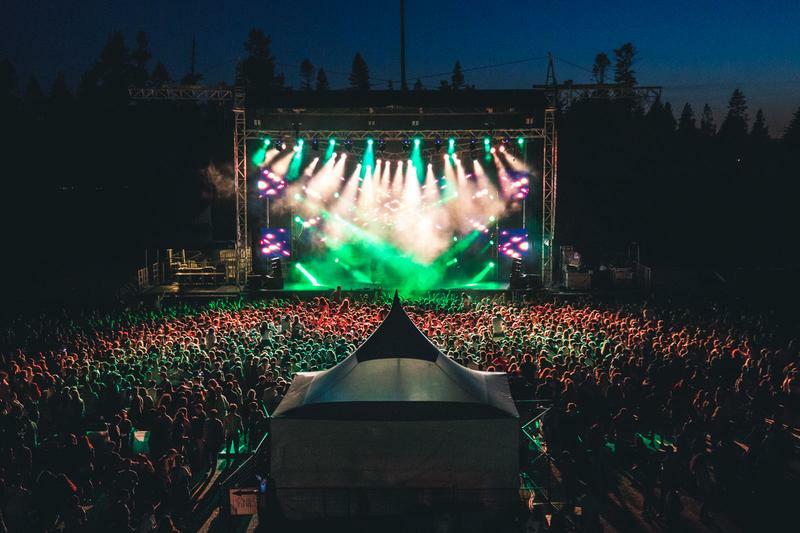 Although this loss was also party to do with the utilization of the Thunderbird Stadium as a location, Block Party was moved to University Commons in 2017 with the understanding that a smaller, more affordable location would help keep costs down and maintain a good experience. But it is hard to “maintain a good experience” when what you are marketing is yet to tangibly exist. Without the setlist, all we are guaranteed are “food trucks” and “crazy fun games” and that frankly, is not worth the 15 dollars for the Super Early Bird Tickets, let alone to 75 dollars for the VIP Experience. Currently, as of now both Tier 1 tickets and Tier 2 tickets are sold out, making the cheapest ticket purchasable $40 dollars. Tickets are non-refundable, which doesn’t give students the chance to back out if the acts booked are not to their taste. The tier system, which is nothing but a ploy to pressure students into rush-purchasing tickets, is by far my biggest qualm because those who wish to wait to see what they are paying for are monetarily punished for their decisions. Each of the tiers has a five dollar incremental fee, but of course there are no perks for paying more because whether we pay 15 dollars or 45 dollars we’re still going to be standing in the line outside forever and we are still 'privy' to the same experience. If AMS Events is an organization that claims to cater for its students, it would be nice if that foundation was built on some good old-fashioned transparency. As those who represent us, we implore you to understand that we aren’t your customers, but students, (and often broke). Students who deserve to be rewarded and not bamboozled for the hard work we put in semester after semester. Be better, don’t let us down this time, please.